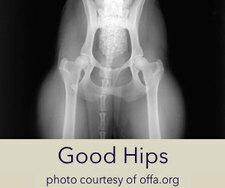 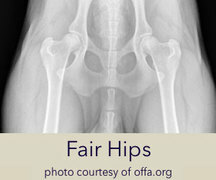 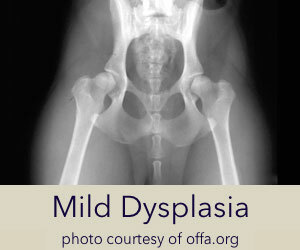 Pugs are second only to Bulldogs with the amount of hip dysplasia in the breed (approximately 62%). 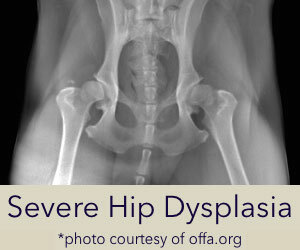 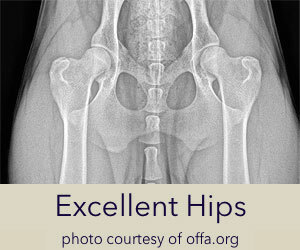 There are many factors, including genetics, environment and nutrition that contribute to this deformity of the hip joint. Research on larger breeds has shown that switching to adult food early in a puppy’s life (12 to 16 weeks), avoiding supplements and keeping the puppy thin as it is growing will minimize its chance of being affected. 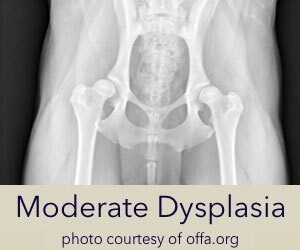 Even though many Pugs are affected, most are able to lead normal, healthy lives even with the problem, unlike some of the large and giant breeds, who require surgery to get around easily.